How to Convert to WMV or Convert WMV to Any Format? 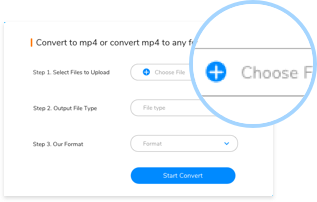 Step 1: Click the "Choose File" Button, select a WMV file or another video/audio file you want to convert. 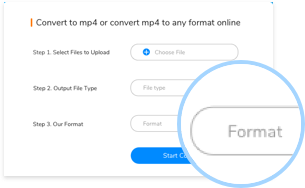 Step 2: Select a right file type, so that you can choose WMV or other format you want to convert fastly in the next step. 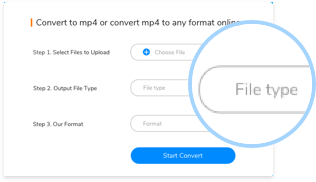 Step 3: Select WMV format or a format you want to convert, then click the "Convert" button, the file will be converted soon. A WMV file is a video file based on the Microsoft Advanced Systems Format (ASF) container format and compressed with Windows Media compression. It contains video encoded with one of Microsoft's Windows Media Video (WMV) proprietary codecs and is similar to an .ASF file.